Looking to spruce up your deck or patio with outdoor furniture? Powerwash first! It’s time to start enjoying the outdoors on your patio furniture. So it’s time to get prepared. Before you begin the process of dusting off or getting new furniture, power wash the area for a bright and brand new look. Powerwashing your wooden deck, brick or stone patios is the way to go. You’d be surprised the difference it can make! And, if you haven’t powerwashed in a long time or ever, then don’t worry it’s easy and good for a little work out. Go rent one at your local Home Depot or Lowe’s. They’re usually around $80 or so per day and easy to set up. Hook up the sprayer “gun” to the hose, hook that hose to the machine, and then screw in your garden hose. Crank the motor (it runs on gasoline) and spray away. It’s a lot like painting where you spray up and down, back and forth on the area and you can immediately see your patio come to life. You rent the powerwashers for 24 hours so maximize its use on your fences, playscapes, fountains, etc. So, add powerwashing to your spring cleaning list and be prepared to find yourself with whole bright new look on life. 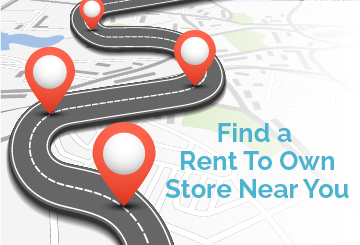 And if you need that patio furniture or barbecue grill for just the season or want it at no debt, go to your local rent to own store and check out their outdoor home furniture. Just another ShopRTO outdoor furniture tip.